God is so good! Can I get an "amen"? Often we get bogged down with our problems and 'things' that we forget to praise God for all He has done. So today I want to do just that. I want to praise God. As I am sitting here 'counting my blessings' I realize that I have much to praise God for. But today I want to focus on my husband. 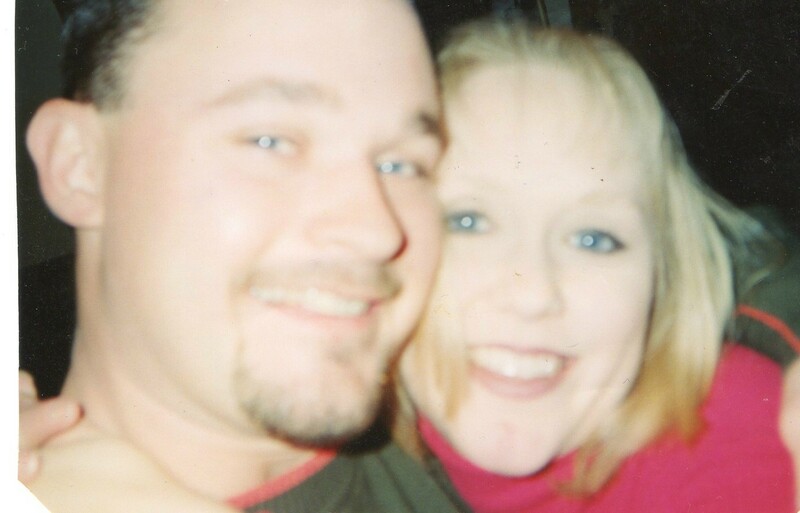 In August, Jeremy and I will have been together for fifteen years and married for fourteen. Jeremy has what you call ADHD to the extreme. The man does not sit still well at all. But that makes him fun. He loves to play and laugh. Is Jeremy perfect. No! We were raised two completely different ways so we see many things differently. We argue like any other couple and get on each other's nerves like any other couple. But I still love him deeply and I am so thankful to God for giving me Jeremy. Our boys are playing baseball right now which is fun, but makes for a busy schedule. On top of baseball, Jeremy works full time, has Bible study, we are in the middle of a church plant right now, and he cares for our lawn and cars. He has not had an hour off to relax in almost a month. Plus he has been fighting a cold for the past week. But he pushes on. Why? For our family. I so appreciate all he does. I am not very good at hiding my emotions, at least not with Jeremy. He knows when I am angry, hurt or tired. Many dinners have included Jeremy asking the kids to share one nice thing about mommy to lift my spirits. And there have been many tickle fights just to make mommy laugh. So how am I bragging on God? I am bragging on Him or praising Him for the way He made Jeremy and for placing Jeremy in my life. I could not ask for a better man to call my husband. Please share with us something/someone you are praising God for today or something God has done for you. Let's brag on God! Today I am participating in Beholding His Glory's Brag On God Friday! I must say that I love Jeremy so much. He is such a part of this family and I wouldn't trade him for anyone else for you. God certainly knew what He was doing when He put Jeremy in our lives! He has been a true blessing to us all. I love that he does whatever necessary to provide for his family. That is a rare trait in today's world! I thank God for my hubby too - it is funny looking around at everyone at other couples how God has managed to out the right, but sometimes to us odd, couples together. I thank God that Ramos is my match. OPk, that is seriously sweet :) I love how asks the kids to say one nice thing about Mama. He seems to be a special man! What a marvelous post. I want to brag on God for giving Papa to me. Like you and Jeremy we were raised completely differently. There was love in my family as a child but very little in his family and I guess that is why I love him, because he is different. I am so glad God put you and Jeremy together as he is certainly special to our family. I think God did a great job putting the two of you together. Love you and blessings to you. As I sit here reading your post, I look around at my many blessings. I have 2 sleeping dogs at my feet, a comfy bed to sleep in and a comfy chair to read in. The windows are open and birds are chirping. I'm so thankful for this cooler weather. God has also blessed me with a wonderful husband and three beautiful children. Hi Jenifer. I'm also thankful for my husband. He lets me get away with a lot but when he has to make a stand I can't rule the roost. I know I'm capable of being bossy, so God placed me with a very generous - but firm when necessary - man. It just goes to show that even when we don't know ourselves, God provides what we need. Can I say that I am also very grateful for my husband. My husband is a very gentle soul, kind and considerate of me and others almost to a fault. He often puts himself last on the list. He is working two jobs right now so that I don't have to work. I have worked most of the last 30 years at very physically demanding jobs and I am just so tired out. It's hard to make it in this modern world on one income and so he is working two jobs to make ends meet. How sweet is that! I'm grateful that God has given you a good husband, Jenifer, God knows our needs, doesn't He. God is good to me and He is good to me all of the time! What a seriously sweet post you wrote about your husband, and I want to brag on God for not giving me a husband, at least not yet anyway, I want to brag on God for making me wait until He made me into the person He created me to be before He brings the person into my life that He has in mind for me. someday I hope I have a brag on God post about my husband like your was today. Jenifer, this was absolutely beautiful. I could truly feel the love you have for your husband through your words. God has absolutely Blessed you, and Jeremy as well! Like you, I consider my spouse one of God's most powerful Blessings in my life. Shannon is an amazing lady, and although like every other married couple we have our ups and downs, there's never been a trial or situation that we couldn't put into perspective and deal with... together. :-) Next week we're celebrating 16 years of marriage, and I can honestly say I'm more in love with her now than the day we were wed. Thank you for sharing this with us, and have a Blessed weekend! @Kandi, what a beautiful way to look at it, thanking God for not yet being married. Women desire to be married, as I am sure you do. But you are being obedient in waiting on God and letting Him mold you into what He wants. I have to say, I am proud of you and I know God is too! Blessings sweet friend. I love hearing what each of you are thanking God for! He is so good! I love this! It is easy to bring all our problems and lay them at God's feet but when He answers our prayers we need to remember to thank Him. I have the most amazing husband in the world now but two years ago we were on the verge of divorce. Today we are happier than any other couple I know! There is nothing God can't do! Pyratess, praise God He restored your marriage! What a wonderful testimony! Would you like to visit my weblog which I created about 8 months ago? My wife and I are Iranian and live in the UK. We love Jesus and our weblog is mostly about our Lord. Since we are Iranian we have added some Persian topics to the weblog, but you can read and watch English ones.